“People tend to see strategy and design as two separate things.” As the founder and CEO of Sylvain Labs, Alain Sylvain sits at the intersection of strategy and design. 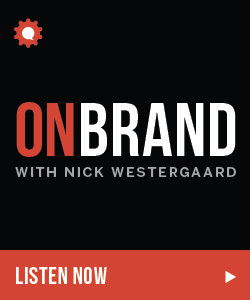 We discussed this including several examples of design thinking at work on this week’s episode of the On Brand podcast. 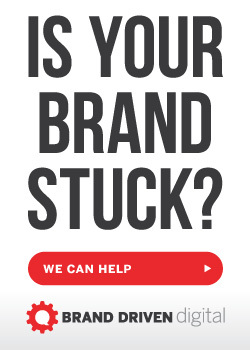 “Building a brand is everyone’s job and it’s challenging. It can feel like moving a mammoth.” As the Founder and Managing Consultant at Wavelength Marketing, Darren Coleman helps brands throughout the world like Johnson & Johnson and Pepsi build standout brand experiences. We discussed how to tame this beast and more this week on the On Brand podcast. “One of the thing’s that’s hardest to do is continue to grow.” As Vice President of Marketing and Growth at Hubspot, Kieran Flanagan has helped the inbound marketing giant do just that. He’s responsible for managing all of HubSpot’s global demand, acquisition of new users, monetization of freemium funnels, and leading the global marketing team. We discussed all of this and more on this week’s episode of the On Brand podcast. “Experiences bring brand values to life.” As leader of the creative team at BASIC, Steven Denekas spends his time crating experiences for brands like Canadian Club, Levi’s, and Dodge. As a designer, he brings a thoughtful process to everything he does. We discussed how he brings this design mindset to brand experiences this week on the On Brand podcast. 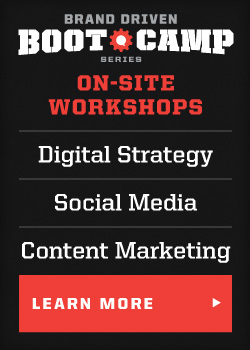 “You have to think of your marketing on every channel today. If you’re a restaurant, you can’t just put a picture of garlic knots on Instagram.” This week on the On Brand podcast, we got to talk about food and marketing — specifically content marketing in the food and hospitality industry — with the one, the only David “Rev” Ciancio. “Presentations are valuable content.” And yet, they often go underutilized. More challenging still, these prominent content delivery systems aren’t branded consistently. Enter James Ontra. 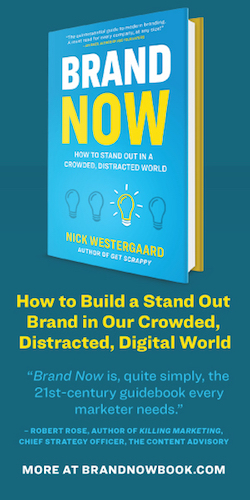 Author of the book Presentation Management and Co-Founder and CEO of Shufflrr, James joined me this week on the On Brand podcast for a discussion of all things related to branded presentations. “As marketers we retreat to the mean — to trendy best practices.” What’s required is out-of-the-box thinking. 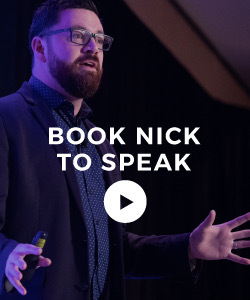 As the founder of Unthinkable Media and author of the new book Break the Wheel, Jay Acunzo knows a thing or two about pushing beyond the everyday and inspiring others to create and share exceptional stories. We discussed all of this and more on this week’s episode of the On Brand podcast. “The reality is that many want to be innovative and disruptive and they’re just not.” Starting as a marketer at Motorola to founding Media Frenzy Global, Sarah Tourville has spent her career helping disruptive brands tell their stories. We discussed all of this and more on this week’s On Brand podcast. “It’s imperative. You must design your culture. It plays such a big role.” Educator, author, and designer Josh Levine has made his mission helping organizations understand the need for culture design in our rapidly changing digital world. His new book Great Mondays charges organizations with developing a company culture that employees will love. We talked about how to think and act differently when it comes to culture this week on the On Brand podcast.